Constructed with a Raschel (knotless) knit heavy-duty polyethylene yarn, the shade cloth is	strong and lightweight. The cloth is available in	various shading factors, 20%, 30%, 40%, 50%, 60%, and 70% light reduction. UVB radiation is typically diffused 5% more than the light reduction. 70% shade factor cloth typically diffuses 85% wind. The higher the wind, the greater the wind reduction efficiency. Shading sunlight in horizontal applications and reducing wind in vertical application. Has a wide variety of feasible applications such as playgrounds, housing privacy applications, swimming pool enclosures, plus covers restaurant patios, protection netting for road construction, tennis courts, etc. In the aquaculture industry, it can be used as fish cage/pond covers, shelter for outside processing. Used horizontally for shade purposes and vertically for wind purposes. 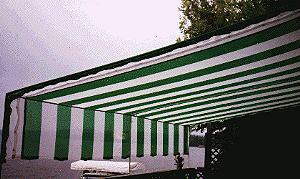 The cloth is corrosion-resistant and UV inhibitor is blended into the base material at the time of its extrusion. This prevents discoloring and deterioration due to sunlight and maximizes product life. It is non-conductive and will not interfere with electrical or radio equipment and is available in four standard colours: black, white, blue and green. Other colours or colour combinations are available upon request.